When it comes to cakes or muffins, my kids love only chocolate base. It’s such a thing that they will not even touch if it’s not chocolate. I have made many versions of easy and quick Microwave Mug Cakes. These are so quick to make for your kids in a jiffy. 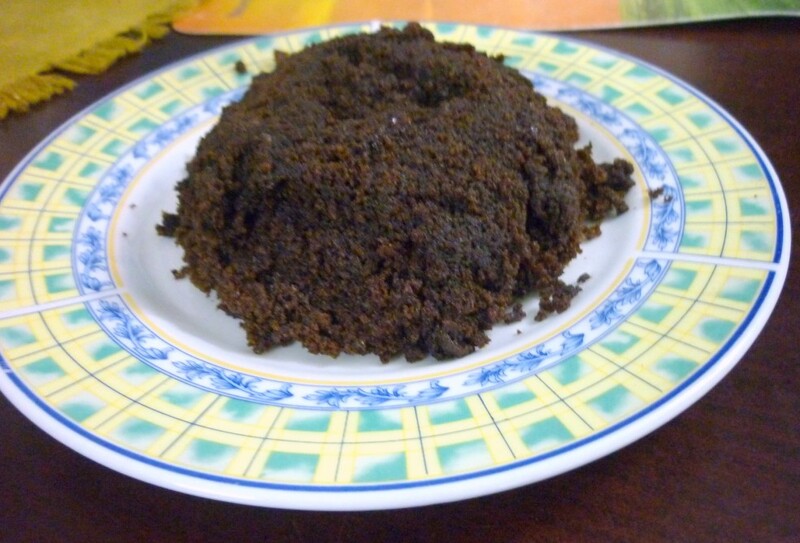 For the second day I thought of making another version of 1 minute Eggless Cake in Microwave. This is inspired from so many other bookmarked recipes. The recent one that I loved was from Vardhini, who was inspired from Pages, who had originally adapted from Mons Chocolate Mug Cake. See how much a chocolate can pass on! 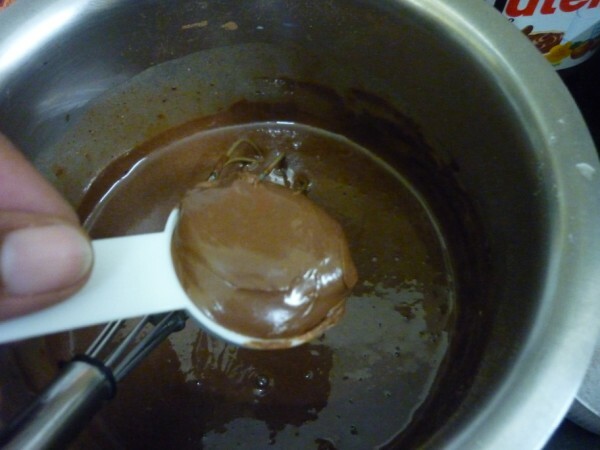 For the all the chocolate lovers out there, this is a beautiful recipe. Thank you ladies..:) I have further tweaked to suit my own taste. I made this along with the Chocolate Fudge, since it was taking time to set I thought I will make a cake meanwhile to pacify my boys. The moment I made this, it disappeared and there was more demands for more to be made. This was made again right away and that kind of set things alright. This is surely another version that I am going to be making quite often. 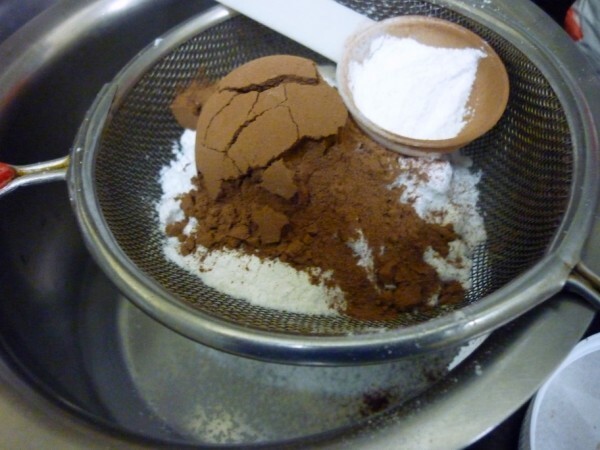 In a mixing bowl, shift the flour with baking soda, icing, cocoa powder, baking powder and baking soda. Next add yogurt, milk, oil. 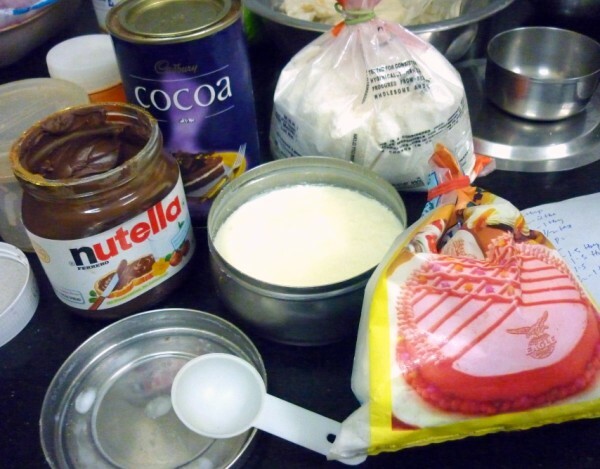 And finally add the nutella. Mix well. 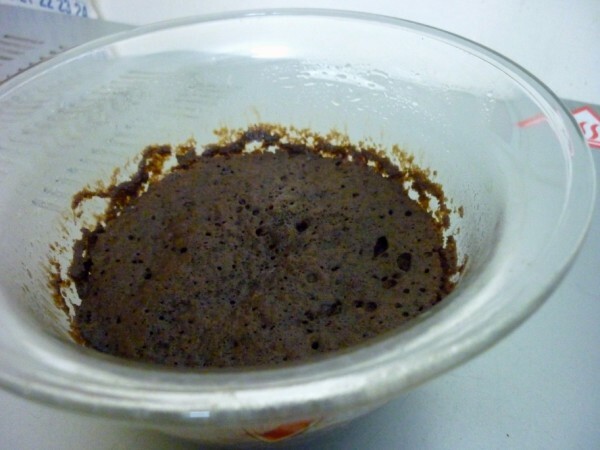 Microwave this mixture in a microwave safe bowl. Microwave for 1 minute, then followed by 30 secs. Let it stand for 30 secs if you feel. Since this rises while cooking, use either a tall cup or a bowl. very tempting brownie !! looks Yummy !! You can link to ongoing event!! Thanks!! I love anything with Nutella. 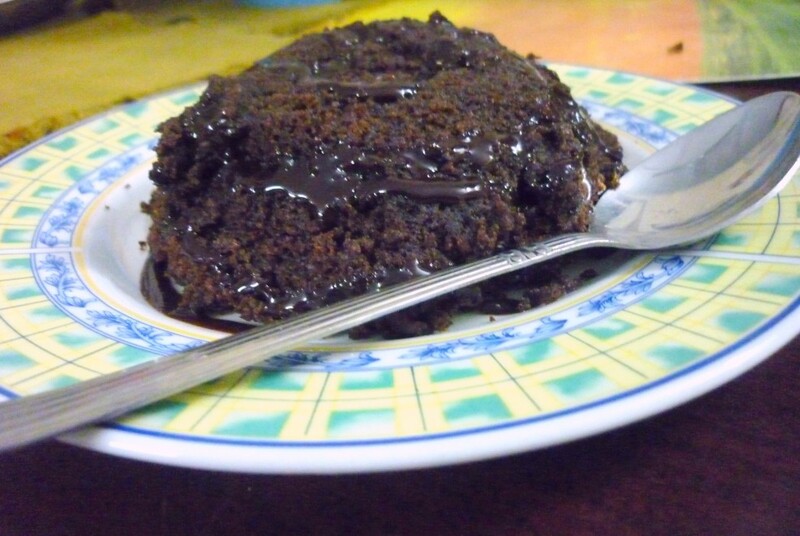 I am going to give try for this brownie.. Looks like it is a very handy recipe. 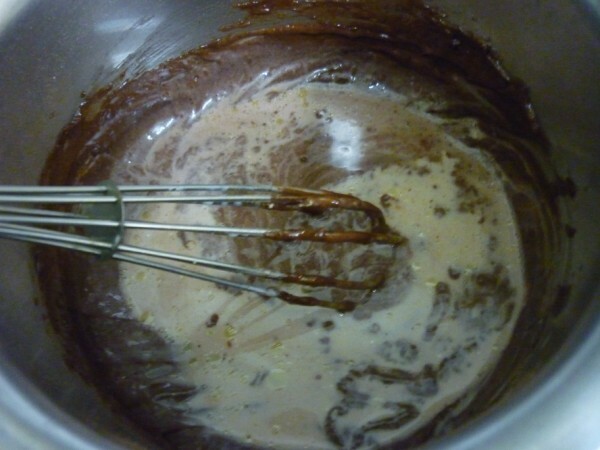 Thats an excellent and irresistible brownies Valli..
turned out pretty good!…so easy too! 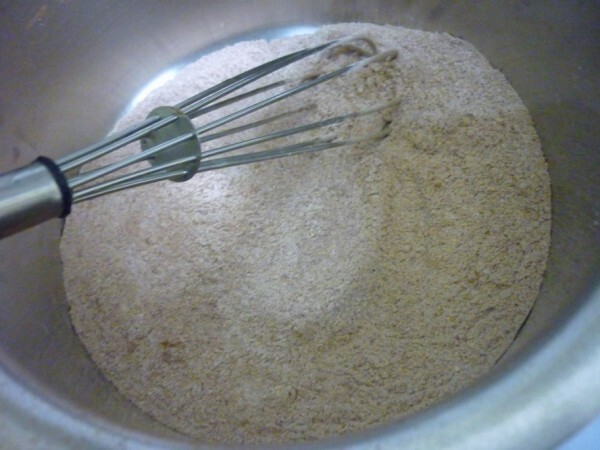 Lovely recipe, Srivalli. Guess what? 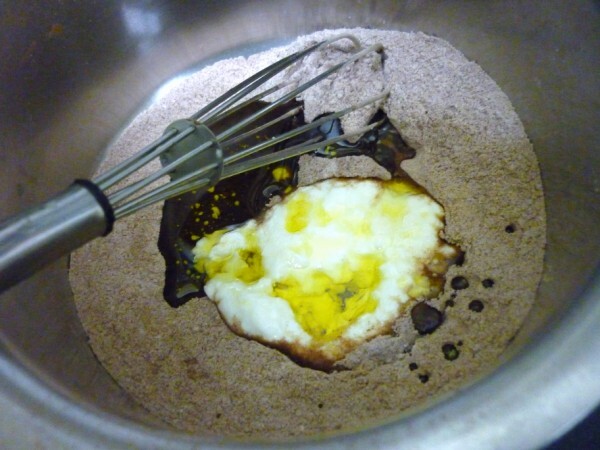 For the Chocolate Mela, I have a similar recipe(eggless version too) to be posted. He He.But a few ingredients are different. 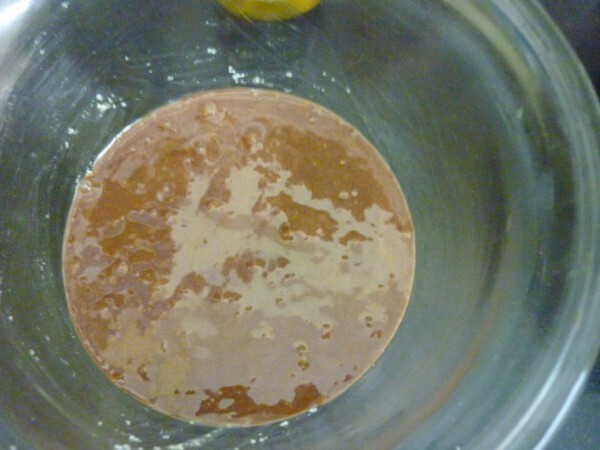 In the photo I see something Yellow..Is that Lemon Zest? Let me know. Tx! I know how this tastes so yummy. I make this too except that I add chocolate chips instead of nutella. 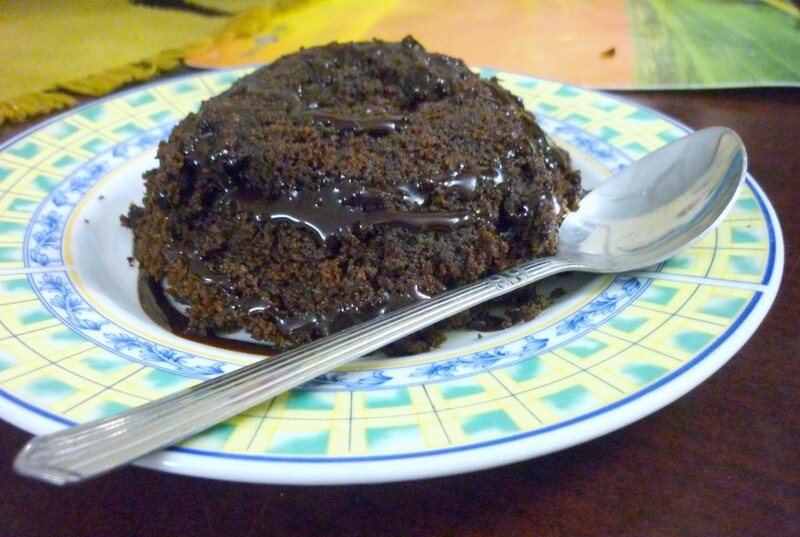 I tried this yesterday eve to give in to a sudden chocolate urge and it turne out beautifully well Srivalli! Thanks!